According to a study by Vereniging Eigen Huis (VEH), loans for homeowners to make their houses more sustainable are hard to find. This was the result of a study that looked at 31 lenders in the Netherlands, and how they dealt with loans taken by borrowers for making houses energy efficient. According to the report, only fourteen lenders provided loans for making houses energyefficient without charging high mortgage rates. Nine others, including SNS, charged a higher interest surcharge. The remaining eight lenders, including ING, Aegon, Argenta, Moneyou, Tulip Mortgages, Van Lanschot, Philips Pensioenfonds and Lloyds Bank did not provide sustainability loans at all. Based on its report, VEH has asked mortgage lenders not to create barriers for homeowners who want to access loans to make their homes energy-efficient. “The biggest advantage of energy saving goes to the bank, instead of to the customer,” said Nico Stolwijk of VEH. For example, based on the interest surcharge by SNS, the mortgage burden will rise by more than 1,000 (42% IB). Nico Stolwijk explained this as follows: “The possibility of recouping the money that you have put into isolation goes up in smoke. Your payback time increases to more than 50 years.” Responding to the report, a spokesperson of Volksbank, of which SNS is a part, said that the interest surcharge had nothing to do with the sustainability of the house, since the bank applied one rate to mortgages up to 100 percent of the house value and one for mortgages over this amount. “That also applies to people who refinance their mortgage or finance a residual debt,” said the spokesperson. The Dutch Banking Association (NVB), in responding to the report of VEH, maintains the opinion that banks offer sufficient financing opportunities. It adds that, in reality, only a few customers borrow up to 106 percent of the future value of their homes. NVB also reminded buyers that there are other options to make homes more sustainable and lower energy costs. One is that buyers take out a mortgage with the National Mortgage Guarantee (NHG) to finance energy improvements. They can also get up to € 25,000 from the Energy Saving Loan for 17 determined energy-saving measures, while the Association of Owners (VvE) can borrow up to a maximum of € 5 million. Buyers can also take out the Regional Sustainability Loan from municipalities that participate in the scheme, up to a maximum amount of € 25,000, for installing façade, roof or floor insulation and HR++ glass. The loan is interestfree. Furthermore, GreenLoans offers two loans. One finances solar panels, a solar water heater, a heat pump, a high-efficiency boiler or a wind turbine. The other loan, called EcoLening, is intended for financing floor, wall, and roof insulation, cavity wall insulation, a heat recovery system, a HE boiler, DC pumps and ventilation grids. Buyers are also allowed to combine multiple forms of financing in order to carry out energysaving measures, in case one isn’t enough. 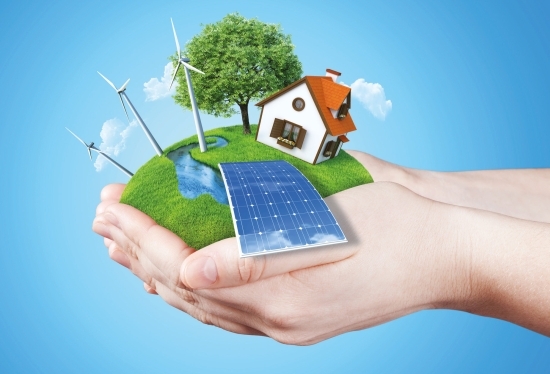 Turning a house into an energyefficient home has many benefits to the homeowner. Apart from lowering the monthly heating costs, as well as sustainable energy production and consumption, the value of the house tends to increase and the owner can benefit from his investment when he sells the house. For example, a house with an energy label F can reach energy label B through the installation of roof, façade and floor insulation and HR++ glass. This investment will cost more than € 17,000 for an average house, but the owner will see his annual energy bill drop by more than € 1,300.